awareness of and make a difference in the Fight Against Hunger. 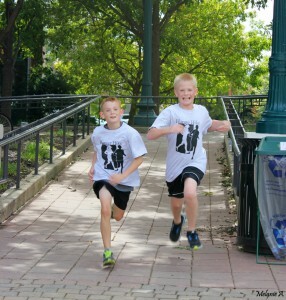 Hunger Hike is open to participants of all ages and abilities who share a common goal: Fighting Hunger! The Hunger Hike keystone event is the Kick-off event on Sunday — immediately followed by the traditional Hunger Hike 3K Walk. Hunger Hike Flier – print and post – coming soon. All Hunger Hike proceeds benefit the Lafayette Urban Ministry Food Programs, Food Finders Food Bank, Inc. & St. Thomas Aquinas’ Haiti Ministry. Learn more, click HERE. Take the time to THANK all of our event sponsors — and support their businesses, please. Hunger Hike 2018 event sponsors, list HERE. Hunger Hike events need dozens of volunteers. Please consider helping. Learn more HERE.